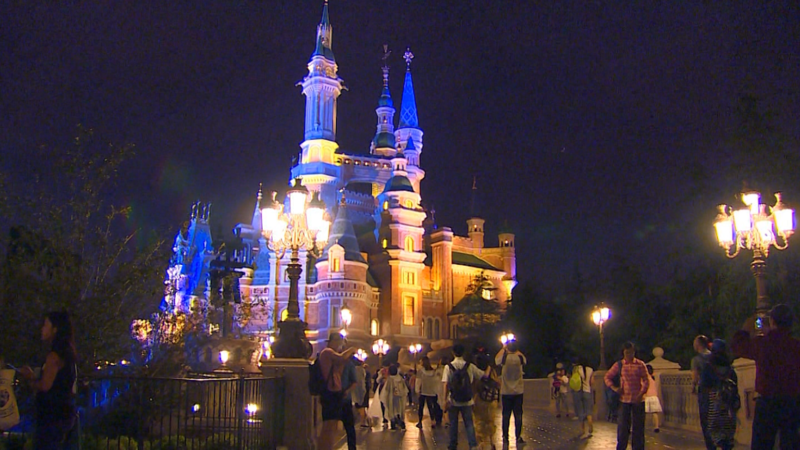 Just how big is Disney's new Shanghai resort? Amid pageantry and patches of rain, Disney's new Shanghai park threw open its doors to visitors for its official opening Thursday. 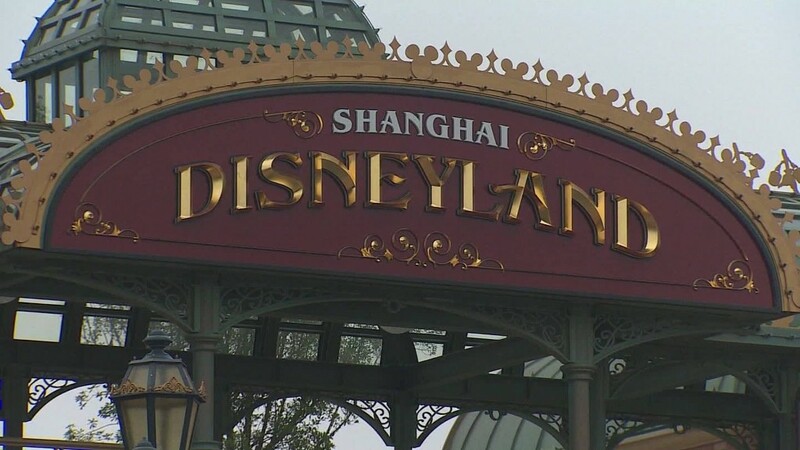 The Chinese resort is a big bet by Disney CEO Bob Iger on a massive market that he admits can be a tricky place to operate. But the grand opening comes at a time when Disney is also having to respond to emergencies back in the U.S., including the alligator attack at Walt Disney World in Florida that left a 2-year-old boy dead. Iger issued a statement expressing his sympathies to the boy's family over their "devastating loss." Hours later, however, the focus was on the dedication ceremony of the Shanghai resort. With senior Chinese officials in attendance, the Disney chief called the opening "one of the proudest and most exciting moments" in the company's history. Cost: $5.5 billion. The resort is the biggest investment the company has ever made outside the U.S.
Years in the making: Construction began more than five years ago in April 2011. But the idea goes back much further: Disney has been talking about building a Shanghai theme park since the mid 2000s. Size: The park is 963 acres, bigger than New York City's Central Park. Shanghai dwarfs the company's other Asian parks in Hong Kong and Tokyo. And Disney says it's already started construction to extend attractions beyond the existing Shanghai site. Shanghai also features the largest castle and longest parade route of any Disney park in the world. Attractions: Two hotels, a shopping district and six themed lands -- Mickey Avenue, Gardens of Imagination, Fantasyland, Adventure Isle, Treasure Cove and Tomorrowland. Employees: Around 10,000 on the opening day. Expected visitors: The House of Mouse isn't saying how many people it expects to visit Shanghai Disney per year. But analysts at Nomura Securities are predicting 15 million. And interest in the site has already been high. Since Disney began a kind of soft launch of the theme park in early May, more than 600,000 people have visited it, the company said Wednesday. Target audience: The company estimates that 330 million people live within a three-hour drive or train ride of Shanghai, which is situated China's incredibly densely populated eastern seaboard. Ownership: Disney isn't going it alone on this project. Like many Western companies operating in China, it had to team up with a local partner to keep authorities happy. Disney owns 43% of the resort company. Its Chinese partner, state-owned Shanghai Shendi Group, holds the other 57%. But Disney has the majority stake in the resort's management company.